The Deen Dayal Upadhyaya Bunkar Yojana is designed to offer better means of livelihood to women of the state who are involved in various types of traditional weaving works. With the launch of the new scheme it is certain that the state government aims at offering full support to these women workers. It is certain that to be eligible first you have to be the citizen of Arunachal Pradesh by birth. The scheme is only valid for women of the state and will only be offered to women weavers who are the owners of the traditional looms. The state government has already announced that over three thousand women weavers shall be offered with financial help for 2017-18. The government shall finalize the list on the basis of districts and all responsibilities shall be given out to the respective bank. Loan amount – Under the scheme it is certain that the state government shall offer with loan amount of Rs 2 lakhs as working capital for each of the women weaver. The loan amount will be directly provided to the women weaver via selected banks and financial institutions. Under the new scheme it is certain that the circle officers will be responsible for certifying that the applicant is eligible to get the loan amount or not. The circle officer shall conduct an inspection to see if the applicant has the possession of the looms at the time of application for the loan amount before disbursement of the loan. It is certain that women weavers and individuals will get the benefit under the scheme excluding firms and organizations. The benefit offered to the weavers will be independent of the total number of looms or size of the unit owned by the women weaver in the state. Authorized banks – Under the new scheme it is certain that all regional rural banks and commercial banks have been selected by the state government. According to the State government NABARD has also been assigned as the working partner for implementation of the scheme. Under the new scheme it is certain that the state government will offer with subsidy of 7 percent on interest subvention on all types of credit and capital loan. Various short period credit including cash, weavers and Swarojgar credit and Capital will be offered with subvention interest rate. Interest subvention shall be calculated by government on short term loan from date of disbursement to the of repayment of the amount by weaver. It is also certain that the state government will calculate the interest subvention for a period of one year for the weaver or on the basis of the date of loan that has been approved by the bank. You can only apply for this scheme if you are an individual women weaver or a group of women weavers. The scheme is strictly not applicable for company or any partnership firms. First of all you will have to visit the official website – http://itanagar.nic.in/. Simply go to this page and here you will see there are lots of options given. You have to click on the option that says “To Download Form”. This link is highlighted op the home page. Once you download this form, search for it on the “Downloads” option in your browser. Open this form and then take a print out. You will see that there are lots of blank fields that need to be filled out before submitting the application. Apart from this, you can also obtain the application form from the office of the District Commissioner (DC), ADC, BDO, SDO, Circle Officer or EAC. After this, you will have to fill out the form and submit it to your Circle Officer. This officer will then inspect all your documents and verify whether you possess working looms or not. Once the verification is done, you are on the road to obtain the loan from any bank. You can apply in any bank with the documents and get the loan. It is certain that with the implementation of the new scheme the government aims at empowering rural women weavers at gaining an opportunity for sustainable livelihood support. 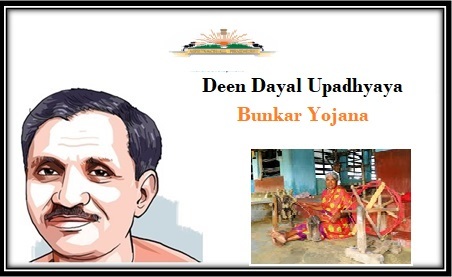 Several state governments have implemented the Deen Dayal Upadhyay Bunker Yojana for the betterment of women weavers. Under this scheme, female weavers will be able to attain easy credit from the banks to develop their trade. The authority has announced that it will continue the task of implement during this year as well. The scheme will offer financial assistance to as many as 500 weavers. Interest subsidy will be offered at 5%. The implementation of this scheme will cost around Rs. 5 crore.